After all this time, my website was due for some spring cleaning. In particular, the old format didn’t work well on smart phones, and this new one does. So I hope that makes life easier for lots of you! I’ve also moved the Categories and Recent Comments so they are easier to find. Let me know if you have ideas for improvements. It’s cold and rainy here as I write this (almost sleeting). I will need to plug in the heat mats under the pepper, eggplant, cucumber and squash seedlings, cover the tender potted tomatoes and peppers in the greenhouse with rowcover, and pull rowcover over the newly transplanted beds of tomatoes and squash in the hoophouse. I’m expecting a third night with temperatures around 25F (-4C). Hence I’m in the mode of staying indoors and doing some reading. Here’s a big round up of good stuff. 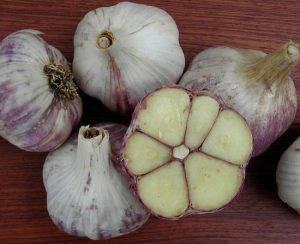 An earlier article discusses how to store garden vegetables for winter. 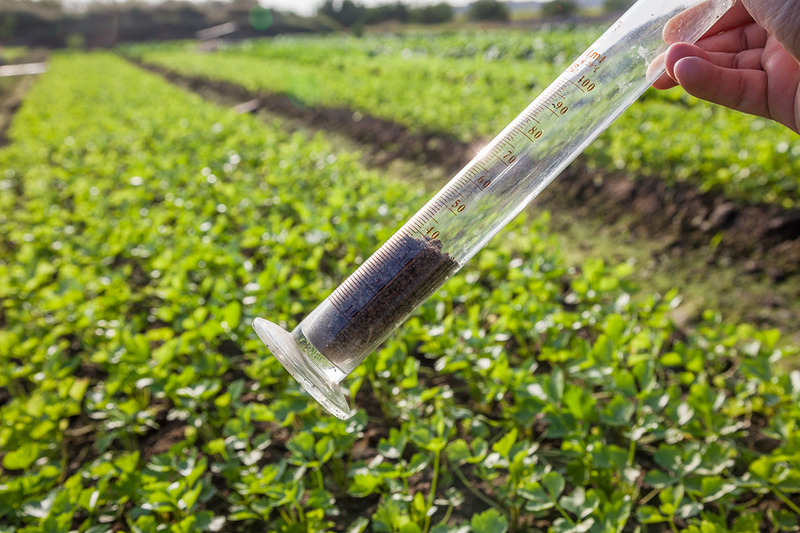 Margaret covers the basics of temperature and humidity, along with details of some crops and ideas for preserving crops that don’t store well. This post by Craig Wallin for the Profitable Plants Digest gives info on lavender, gourmet mushrooms, woody ornamentals, landscaping trees and shrubs, bonsai plants, Japanese maples, willows, garlic, bamboo and herbs. I’ll add a big caution about bamboo, as we have found many bamboo varieties very invasive and hard to control. Links on the site provide info on ginseng, microgreens and more. Get an idea of what a reasonable yield is (at least in Iowa!) of the crops you grow and compare various crops to help with your decision-making. 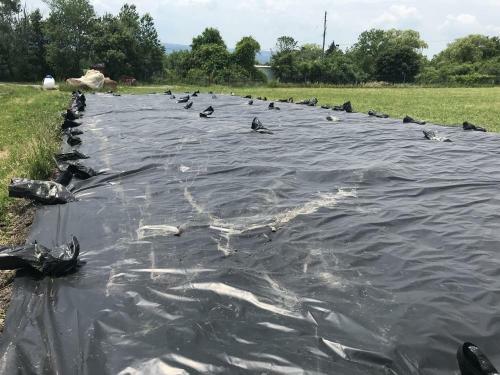 Extension offers Solarization and Tarping for Weed Management on Organic Vegetable Farms in the Northeast USA which can, of course, be modified for those of us in other regions. A black plastic tarp laid over full-length crop beds. Photo credit: Haley Rylander. Join more than 6,000 other naturalists across the nation in taking the pulse of our planet. You’ll use scientifically-vetted observation guidelines, developed for over 900 species, to ensure data are useful to researchers and decision-makers. 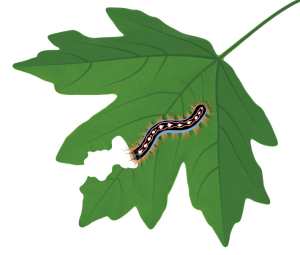 On their website, learn about the National Phenology Network Pest Patrol which is seeking observers to report their sightings of insect pest species that cause harm to forest and agricultural trees. Your observations as part of this campaign will help validate and improve the USA-NPN’s Pheno Forecasts, which help managers know when these species are active and susceptible to treatment. The U.S. Global Change Research Program has released the Fourth National Climate Assessment, an examination of the effects of climate change on the United States. 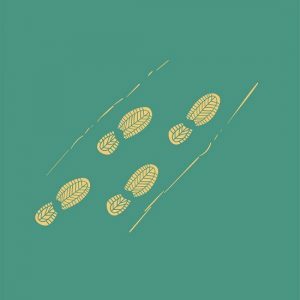 Chapter 10 of the Assessment is on “Agriculture and Rural Communities.” This chapter contains four key messages regarding productivity decline, resource degradation, livestock health, and rural-community capacity to respond. The Texas High Plains and Southern Plains continue to experience reductions in irrigation water from the Ogallala Aquifer as water levels decline, and producers need some way to improve their revenue from their farming systems. 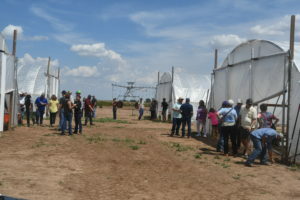 They have the potential to get a pretty good return and be able to take better advantage of the water they do have, using high tunnels to grow regular vegetable crops and also use them for seed production, cut flowers, small fruit. Bug Tracks Charley Eiseman Life in a Cubic Foot of My Lawn. This inspiring article is one of many by this expert in leaf miners as well as other insects. It’s such fascinating stuff! And his photos are exquisite. There are over 40 in this post! Members of a Specialty Crops Research Initiative Grafting Project Team have organized a grafting webinar series. 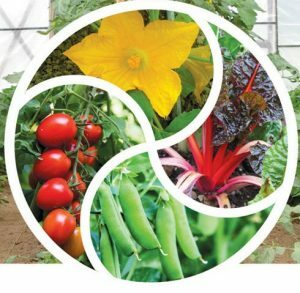 The webinars each cover a different topic about the science and technology of vegetable grafting. While not specifically about organic production, upcoming topics that could be of interest to organic growers include Grafting to Increase Production for Small-acreage and High Tunnel Tomato Growers, by Cary Rivard of K-State University; past topics include Making Grafting Affordable and Beneficial to US Growers by Richard Hassell of Clemson University. Past presentations in the series were recorded and archived. Find the recordings on the project YouTube channel here, and learn more about upcoming webinars here. See Enhancing the Utility of Grafting in US Vegetable Production, by Matthew Kleinhenz of the Ohio State University, below. 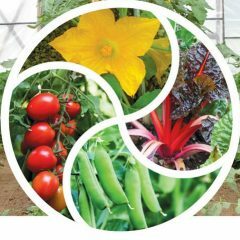 If you are a gardener, you may be interested in another webinar by Cary Rivard about grafting for home gardeners: Demystifying Grafted Tomatoes: The Why & How for Gardeners, which is part of the 2019 series of Advanced Training Webinars for Master Gardeners sponsored by Oregon State University Extension. Find out more information here. eOrganic recorded presentations on current organic research from the Organic Research Forum organized by the Organic Farming Research Foundation at Organicology. The following presentations are freely available now and more will be added to their playlist on the eOrganic YouTube channel and mentioned in upcoming newsletters. Find the program here and click here to find the recordings on a YouTube playlist. In partnership with First Baptist Church, Tricycle Gardens in Richmond, Virginia, are developing Charlotte Acres Incubator Farm with graduates of the Urban Agriculture Fellowship & Certification program launching their businesses and farming this beautiful land. 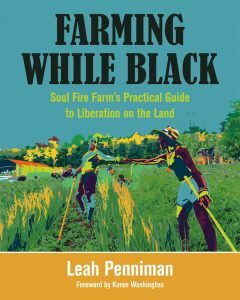 They ask for donations: Please consider a generous gift today in support of beginning farmers. 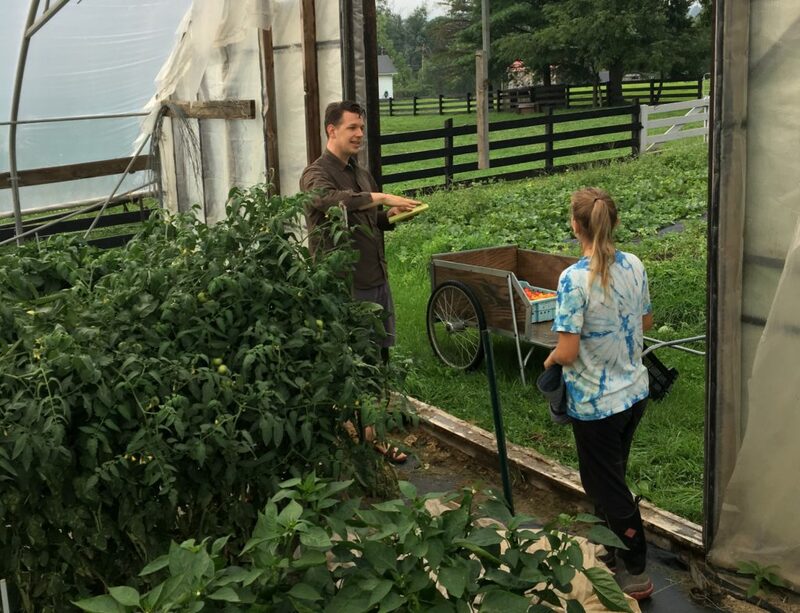 The Pennsylvania Department of Labor and Industry approved the Diversified Vegetable Apprenticeship on March 14th, making it the first formal apprenticeship program for farmers in the state. 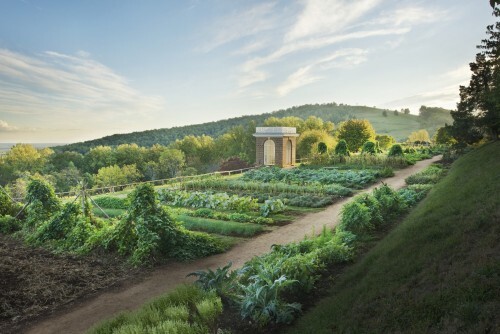 In addition to Monticello’s regular guided Gardens and Grounds Tours, the annual observance of Historic Garden Week in Virginia will include talks, behind-the-scenes tours, and an open house at our Thomas Jefferson Center for Historic Plants.